Cynthia is a full time Realtor and began her real estate career in 2002 as a licensed agent and earned her Associate Broker license in 2005. 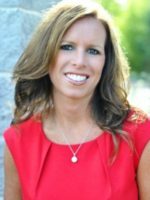 She started her career in the industry as a New Homes Sales Agent and in 2004 became a sales Manager for the company specializing in first time home buyers and credit repair. She became the qualifying broker of a real estate firm in 2005 and managed that company until 2008. She is an Active Life Member of Metro South Association of Realtors as well as a member of the National Association of Realtors and Georgia Association of Realtors. She is a Circle of Excellence recipient for real estate for the past six years. With a passion for the business she will take the time to educate her clients through the process of any facet of the industry. In her spare time she enjoys being outdoors and spending time with her husband and three teenage boys.